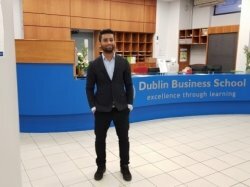 I am 21 years old student pursuing my Masters in Finance from Dublin Business School with a Scholarship. I loved studying Accountancy, Business Management and have a very deep understanding of these subjects. In the first year of my under-graduation, I joined Grin Educational Services, Gwalior which is a not for profit organization that provides free education along with study material to the school students mainly from the age group of 10 to 18 years. I worked here as a part-time teacher of Commerce, where I taught Accounts, Economics and Business from January 2015–July 2016. Teaching to me is a joy than a profession. I am good at understanding the level of the student and teaching them at that level. I feel that everyone need to be taught in a different way as their understanding and grasping power. AshishFrom Alicja (4/5): (Junior Cycle Economics) Did a few lessons with Ashish. Great teacher, amazing explanations of concepts of economics. Great at explaining both math and theory parts of economy. Prepared me amazingly for my lvl 7 Final exam. Needs to work on his punctuality. Reasonable price. Would encourage people to try this tutor. First thing class can't be scheduled in an hour and you have no right to comment on my education level I am pursuing my education from one of the most respected university in the world with a scholarship as well. If you are mad at me just because I didn't help you in your unethical work then I just can't help.